Ben recently spoke with Thrillist about his thoughts on the crazy Season 2 finale of ‘Westworld’, which aired last night on HBO. You can read the full interview below. Thrillist: Did you get to watch the finale? I did! I actually watched it last night. And Shannon [Woodward, who plays Elsie] sent me a screen capture during the finale of me by the pool, and she said, “You’ll always be my Ferris Bueller,” because I look exactly like him with those sunglasses on! Ben was spotted filming a scene for Season 2 of ‘The Punisher’ yesterday under the Manhattan Bridge in New York City. Photos (containing spoilers) have been added to our gallery. A short clip from the set has also been added to our video archive. 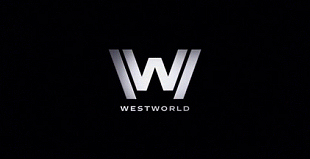 Just a friendly reminder that Season 2 of ‘Westworld’ premieres tonight at 9 PM (ET/PT) on HBO. If you haven’t done so already, be sure to check out 2 new featurettes below. The first official full-length trailer for Season 2 of ‘Westworld’ has been released. Watch the trailer here, or in our video archive. Season 2 premieres April 22 at 9 PM on HBO.